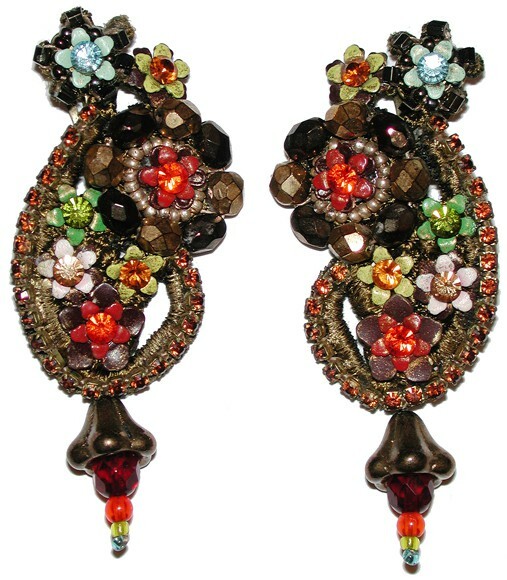 Michal Negrin lace clip on earrings with sparkling Swarovski crystals, painted flowers and beads. Measures 3 inches long. 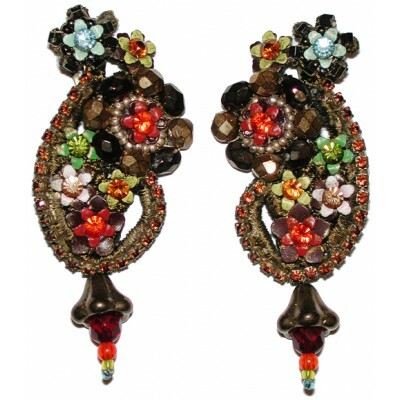 The metal is nickel-free brass.